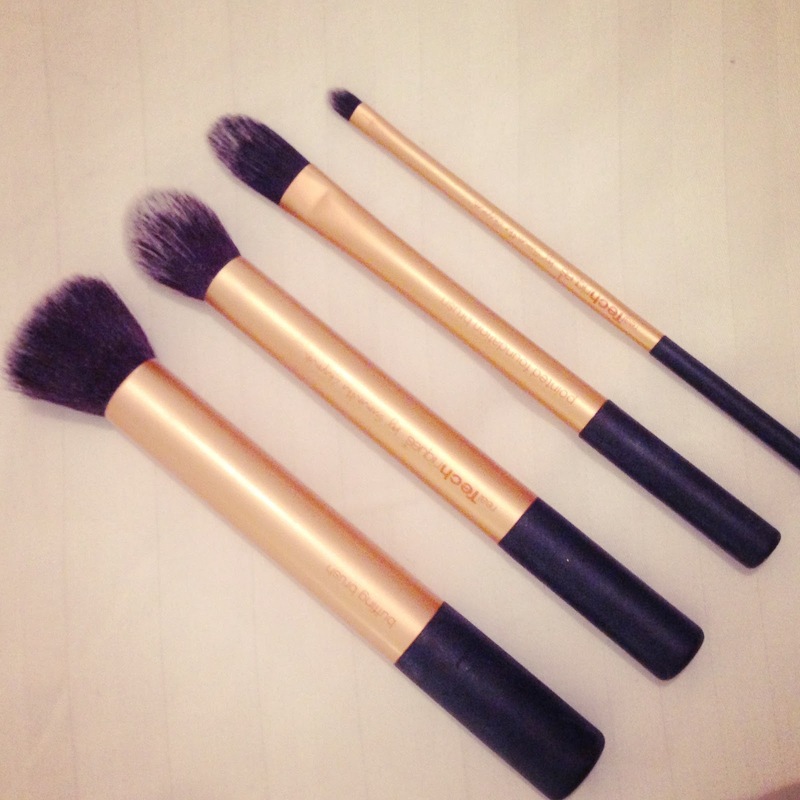 I am going to start off by telling you that you need these brushes in your life. I saw these brushes being used on a number of youtube videos and they looked like they did a fantastic job so I treated myself. 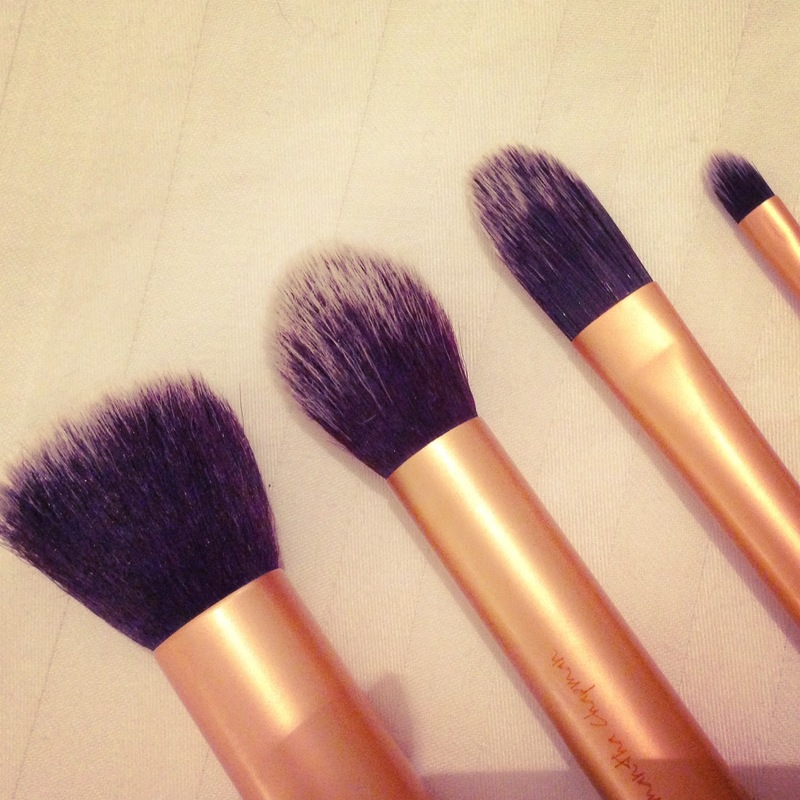 For four brushes, £21.99 is an absolute bargain and especially as these brushes are so fantastic. They are up to the quality of MAC and do the exact same job, but at probably a third of the price. The collection comes with four brushes and a holder which doubles as a brush stand, yet I just keep my brushes stood up in a MAC style measuring jar. It includes a buffing brush, a contour brush, a pointed foundation brush and a detailer brush, all of which are so so soft to use and touch. The buffing brush is perfect for buffing in foundation. Just spritz some of your foundation onto the bristles, pat a few drops around your face and then buff each drop into each area. 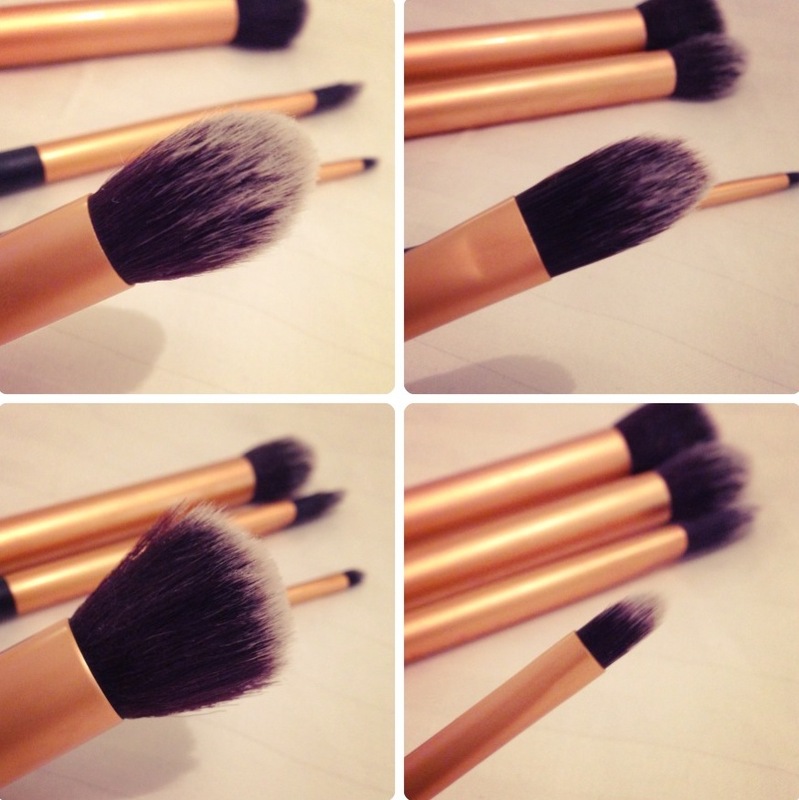 The bristles really work at blending your foundation in perfectly and you get a totally flawless finish. The contour brush is just the perfect size to get right into the hollows of your cheeks. Just trace the line under your cheekbone with the brush to create the perfect contour line. I bought the MAC dupe of this and I far prefer this – in fact I took the MAC one back because it was shedding. This one is totally perfect. The pointed foundation brush I don’t actually use for foundation as it is far too small for it. I instead use it to blend in any concealer under my eyes if I am being too lazy to dab with my fingertips. This is probably my least favourite of the brushes just because I dont have much use for it. The detailer brush I use for placing eyeshadow into the inner corners of my eyes or for sweeping highlighter under my brows. It is a really small brush so it is perfect for applying small amounts of make up. It could also work well as a lipbrush perhaps. I use the buffing brush and contour brushes daily and would not be without them now. They are by far the best brushes I have used and I never stop recommending them to friends and family. They definitely should be on your wishlist this year, especially as Amazon currently have about £5 off!